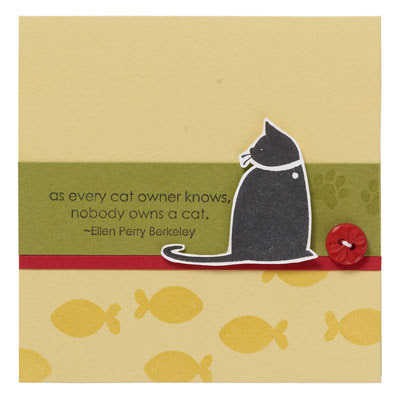 This notecard embodies the truth that all cat owners know and understand: nobody owns a cat. It's the purrrrfect greeting for the cat lover in your life. Did you know that "C is for Cat" is just one of the many stamp sets you can choose for FREE with a $65 order during Sale-A-Bration? It's true! Contact me for more details on how you can get yours!